Black Cat Fireworks, the #1 most recognized brand of fireworks in the United States, announced that their Fireworks Express website again offers Wedding Sparklers and Wedding Display ideas to make dreams come true. This comes after a one year absence. Fireworks Express offers newly married couples an unforgettable dream come true. Light up the wedding night with beautiful Wedding Sparklers! After a 1 year absence, Fireworks Express has brought back a most popular and highly visited portion of our website, Wedding Sparklers. Sparklers are frequently used for weddings, parties and special events. In weddings, for instance, guests can hold up sparklers and form a line as the new wedding couple leave the reception; larger sparklers may be placed in the ground to line the driveway as the newlyweds leave; at some events the smaller sparklers may be placed on tables for guest gifts; and/or, sparklers may be placed in cake dishes that are offered to guests. For non-wedding events, sparklers are often placed in dishes (cakes, ice cream, fruits) that are delivered to party guests. 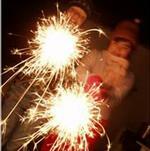 Since sparklers are considered as novelty items, they can be shipped nationwide by UPS. Fireworks Express provides suggestions on indoor displays, outdoor displays, table fountains, set piece designs and/or the ability for one to build their own custom fireworks display. 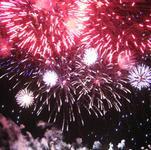 Black Cat® Fireworks also offers Consumers access to local outlets nationwide by visiting the Retail Location Finder at both BlackCatFireworks.com and FireworksExpress.com.